Flometrics client company Broadcast Microwave Services (BMS) was developing a new COFDM digital hand held portable microwave receiver with 2-way diversity for law enforcement, public safety, homeland security, and Unmanned Vehicle Remote Video Terminal (RVT) applications. This device was required to operate in harsh environments, dealing with extreme temperatures [0 to +55 °C] and rain. The exposure to moisture required the air inlet and outlet ducts to be separate from the internal circuitry. In addition, the cooling system had to be designed with strict thickness requirements to fit the compact electronics and match the slender final design. Also, the new handheld device would generate more waste heat than their previous products, so BMS asked Flometrics to aid them in the thermal design. Several configurations were conceptualized, including axial and centrifugal fans. The cross-flow fan was selected due to it low profile, quietness, power consumption and availability to place the inlet & outlet out of hand hold regions. 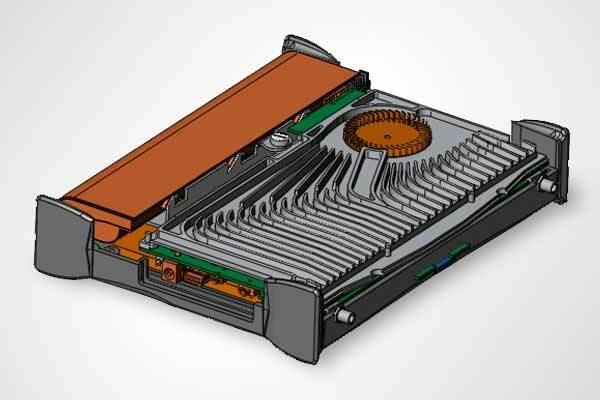 A heat sink and fan were developed further and prototypes were made. Prototype heat sink and fan were integrated with a mock-up PCB. Power resistors were used to simulate the expected thermal loads and the housing was instrumented with thermocouples. 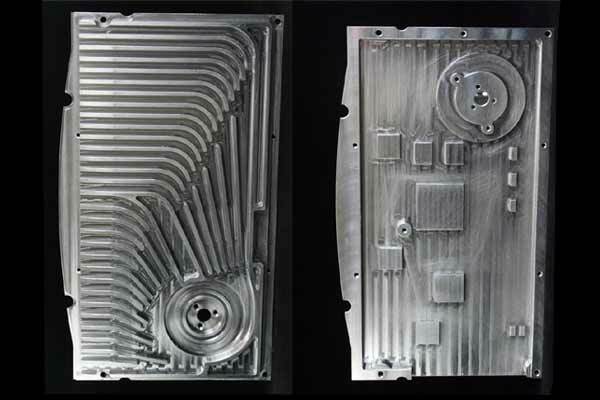 The prototype components met the requirements keeping all the PCB components under their design temperatures. 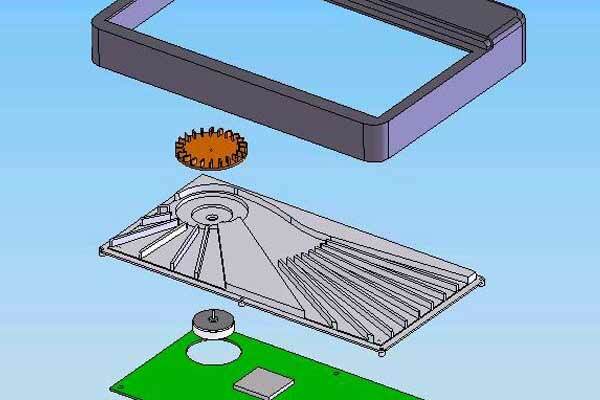 Working with BMS, the heat sink, fan and motor were integrated into the top-level CAD model and BOM. 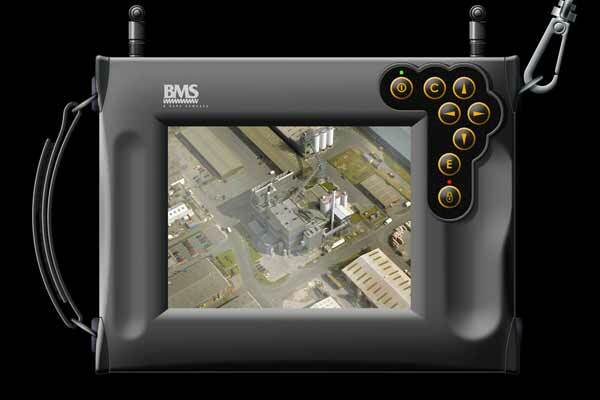 With the help of Flometrics, BMS is proud to offer the Carry-Viewer III handheld microwave receiver. A great example of how Flometrics can provide the solutions to accelerate your product from conception to production, so that you get your ideas to market sooner and with confidence.